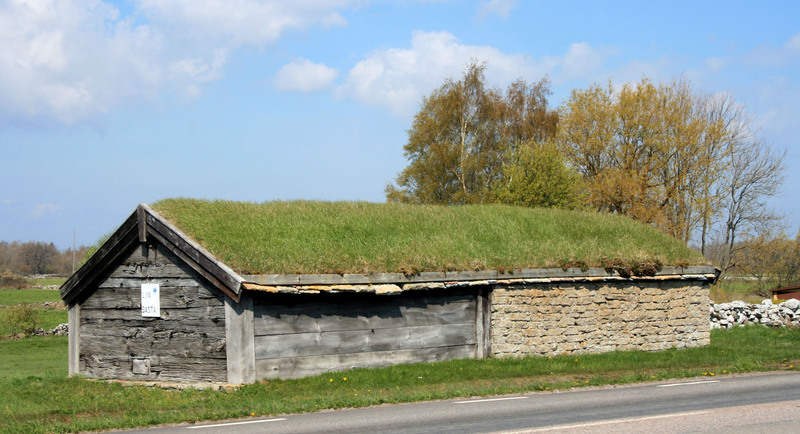 These buildings were were used in the production of linen in the pre-industrial era of Sweden. Flax was dried within during the autumn when the sun was long longer sufficient to do so outside. Virtually every farm in the Skåne area cultivated Flax during the 1800’s. These buidlings were usually a collective project for the whole community to use. The sheds were heated with wood, but constructed so the flax dried by the heat without catching fire. Given the firehazard, it typically was built well away from other buildings. The building consists of a front, outer portion called ‘byrdestuan’ and the rear part with the furnace called a sauna. The buildings were often used to dry grain and smoke meat or sausage, even used as a bathhouse.